Great for both men and women! 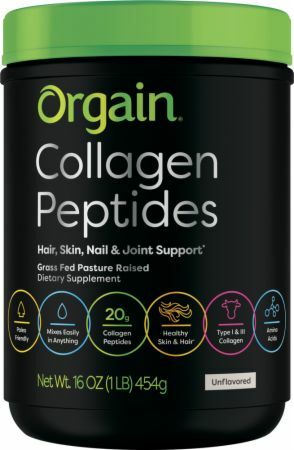 Our Grass Fed, Pasture Raised Collagen Peptides Powder supports healthy hair, skin, nail, and joint health. * And because it is odorless and tasteless, it mixes easily into any hot or cold liquid. You can easily add a scoop into your daily routine. No Collagen Peptides Reviews Found. Directions For Collagen Peptides: Combine two scoops into the beverage, food, or baked good of your choice. Storage Information: Store in cool, dry place with lid tightly sealed. Avoid exposure to light, heat, and moisture.